My first reaction and the repeated phrase for the next five minutes after I saw these photos. She’s truly a goddess! 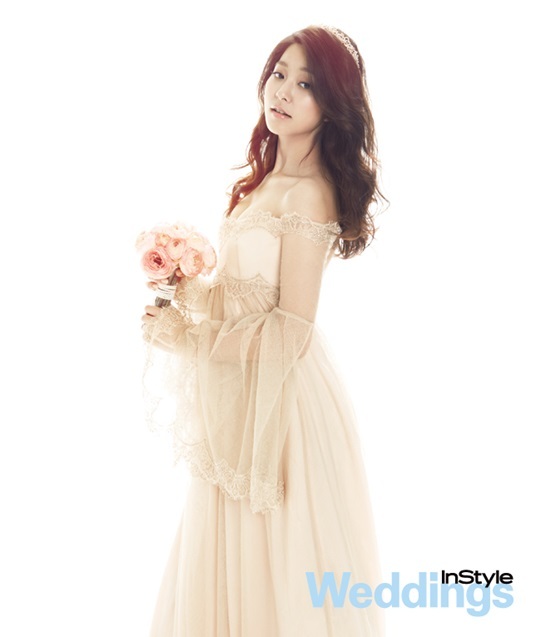 Park Se-young is a very pretty bride for Instyle Weddings’ April edition. I love it when men suit up, but when the girls dress up, I love it more! Too bad we only got two pictures released to the press. I want MOAR~!